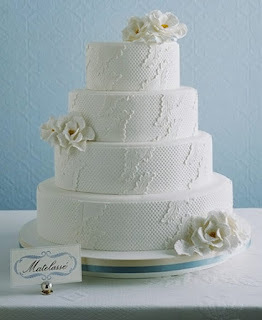 White Matelasse Wedding Cake, a photo by CAKE Amsterdam - Cakes by ZOBOT on Flickr. 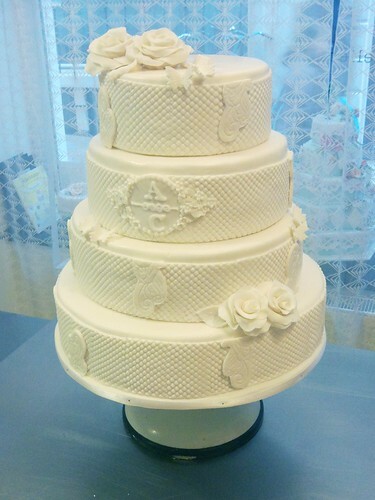 Based on Martha Stewart's Matelasse design, with a few tweeks... a gorgeous 4 tiered elegant white wedding cake for around 80 guests! Congrats to Cees & Anna! FLAVOR : Vanilla Cake with silky vanilla buttercream and fresh strawberries and strawberry jam.